The Apartment at Mullans Bay provides you with all your home comforts throughout your stay, a perfect home from home. A luxury five-bedroom house, The Gatehouse is always very popular for hosting birthday parties and anniversaries. Staying at The Willows is a luxurious experience where you will leave feeling relaxed and refreshed having enjoyed everything that Mullans Bay has to offer. We promise spectacular views from our 6 brand new, luxury Lakeside Lodges, currently under construction with availability from June 2019. 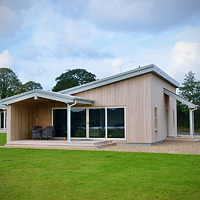 Mullans Bay is situated within a 36 acre private parkland setting on Boa Island in Kesh, Co Fermanagh. 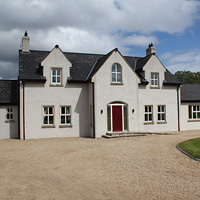 We are a family run business providing high quality self catering accommodation. We pride ourselves in attention to detail and guest satisfaction is our number one priority. Established in 2011, we are delighted to have so many customers returning year after year to the extent that it now feels more like family coming home than guests making a reservation. This is testament to the many friendships built up throughout the years and is certainly one of the key benefits of running our business. 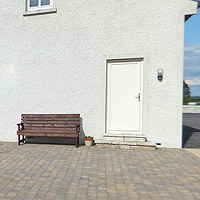 Mullans Bay is situated on the beautiful shores of Lower Lough Erne providing you with direct private access to the lake where you can relax in the covered BBQ area located right on the water’s edge. Here you may take in the breathtaking views of the lake whilst the children enjoy the lakeside play area. There is a lough shore pathway where you can enjoy a walk and appreciate the natural beauty and wildlife which surrounds you in abundance. Further along you will discover a small sandy beach beside the jetty which is ideal for your children to paddle in as the water is shallow. Many hours of enjoyment have been experienced by children and adults alike. A full size Tennis court provides the ideal place for both children and adults to experience hours of fun where you will also find soccer goalposts and a basketball net. So whether you are an experienced tennis player or if you simply want to spend quality time with the children, the facilities at Mullans Bay will cater for all of your family’s needs. Lower Lough Erne is renowned for its fishing so if you are a professional fisherman or just someone who wants to throw in a line and hope for the best, Mullans Bay offers you the perfect location to while away a few hours in peace and quiet. Fishing boat hire can also be arranged if required. 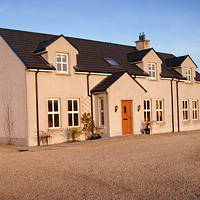 Mullans Bay is very centrally located to explore Fermanagh and the surrounding area. Our estate is within an hour’s drive of Sligo and Donegal with Enniskillen and Omagh just a 30-40 minute drive away. You can drive to Rossnowlagh in around 30 minutes where you will find a stunning spot for a paddle or just a walk along the beautiful sandy beach. We are proud that many of our guests have commented on how much they enjoy the peace and tranquillity of Mullans Bay and how their stresses and worries of everyday life just seem to disappear whenever they arrive. Don't take our word for that. Come and experience it for yourself in the knowledge that when you leave, you will be de-stressed and ready to face the world again.